Californian Yachts are built by Navigator Yachts owned by Jule Marshall who has bought and sold the Californian line of yachts a number of times. Navigator and Californian Yachts are now a family owned business with Jule and his two sons producing these quality motor and expedition yachts. Since 1976 these boats are built of solid fiberglass, no core construction here. Californian Yachts are built in Southern California to rough water standards for comfort and safety coupled with fuel efficiency. 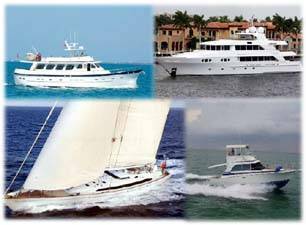 Contact Us to purchase a Californian Yachts for sale. Contact Us to for more information and to see a Californian Yacht soon.